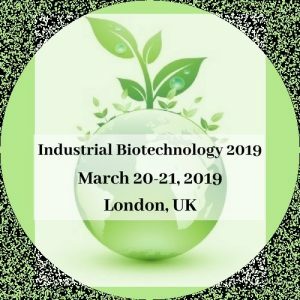 The International Conference on Industrial Biotechnology and Bioprocessing will be held in London from 20th to 21st March 2019. The conference represents an opportunity to present and discuss all the innovations in Industrial biotechnology, which allows leading academic scientists, researchers and industrialists from all over the world to exchange and share their experiences, recent innovations, practical challenges, advanced equipment and research results. The discussion will have several topics like biopolymer, bioplastics, biofuels, pharmaceuticals, cosmeceuticals, high value-added biochemicals, fermentation and nanobiotechnology.